This may not seem like much to you my dear readers, but to me it is phenomenal! I have at long last, at LONG last, succeeded in making tablet! One of the first posts on Cakeyboi was my failure at making tablet. And to be honest, I have tried before then and a few times since. With no luck. Armed with yet another recipe I found online and with a couple of tweaks, tablet was finally made. 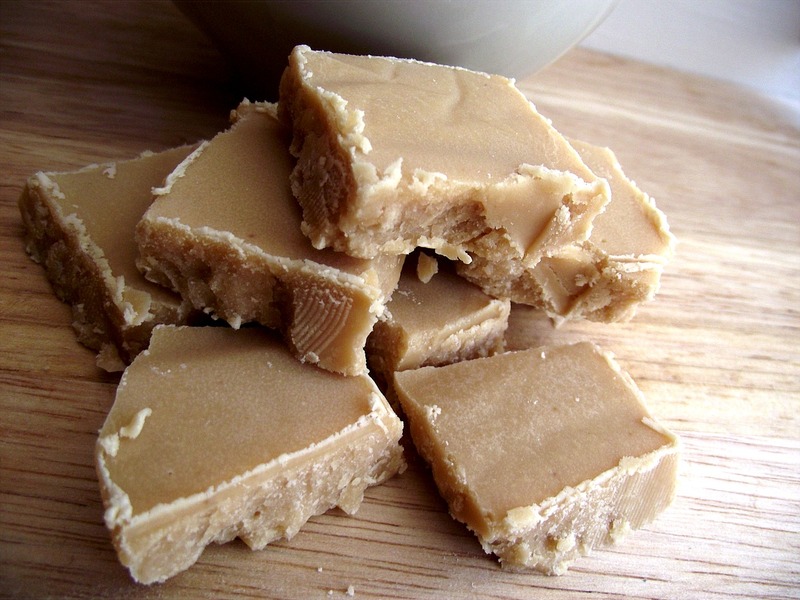 For those not in the know, tablet is a treat, Scottish in origin, which lies somewhere near fudge and toffee on the confectioner line up. Yet, it’s not chewy or brittle like some toffees, nor is it as soft as fudge. It’s sort of crumbly with a vanilla, sweet, buttery taste. Having said this, the recipe I followed did not use butter, so maybe it’s not real tablet, but it certainly tasted like it and has the same texture. Line an 8”x8” baking tin with foil and grease very lightly. Set aside. 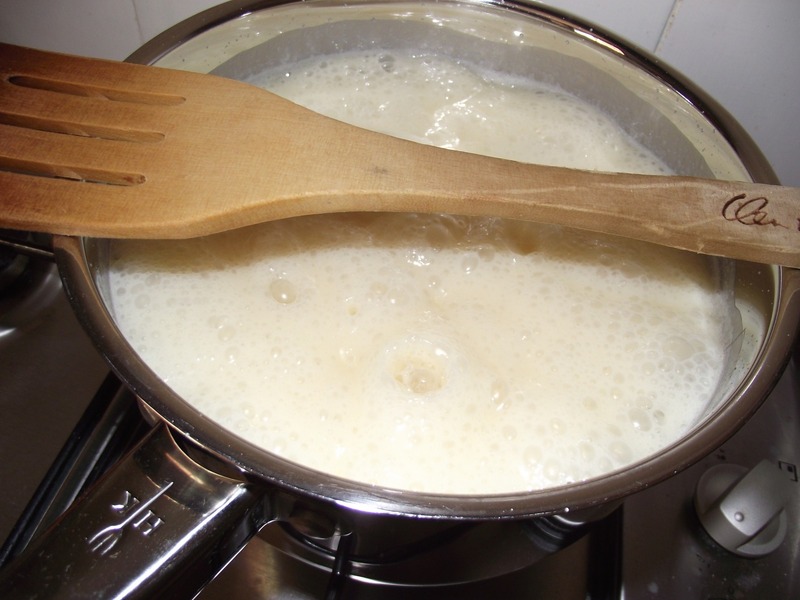 In a large pan place the sugar and 120ml of milk, heat slowly until the sugar has dissolved. Add the tin of condensed milk and bring this to the boil, keep it boiling for 15 to 20 minutes. The mixture will start off a very pale golden colour and turn amber during the process. Don’t stir either when boiling, just keep an eye on it. 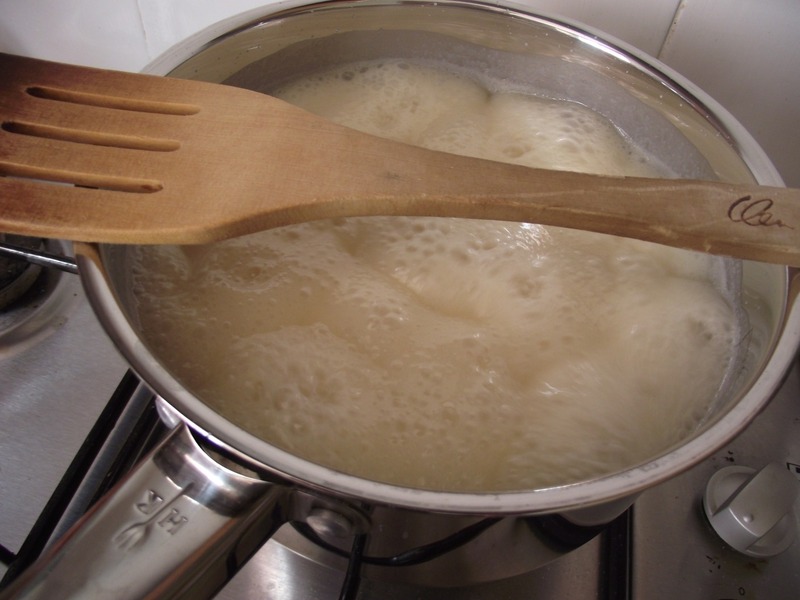 A good tip I have learned, if you are concerned about something boiling over in the pan, place a wooden spoon, or other utensil across the top of the pan. For some reason, this prevents whatever is cooking from boiling over. Works for me anyway! The mixture will have become darker as I said and will appear thicker. Add the vanilla (careful as it will bubble severely). Remove from the heat and with a balloon whisk, beat the mixture (carefully, molten lava everywhere = not good). Beat it hard and fast for at least 5 minutes. I broke my whisk doing this FYI. The mixture will become even thicker and lighten slightly in colour again. I knew it was ready when I saw wisps of the mixture on the side of the pan crystallise. Pour into the prepared pan and allow this to cool for 10 minutes before scoring the mixture into pieces, with a knife. Actually, I didn’t do this, so when it came to breaking it up, my pieces were sort of haphazardly shaped! Allow this to cool completely, at least 4 hours. The bottom of the pan should not be remotely warm, and then you will know it is ready. Remove from the pan with the help of the foil and cut into the pre-scored pieces. 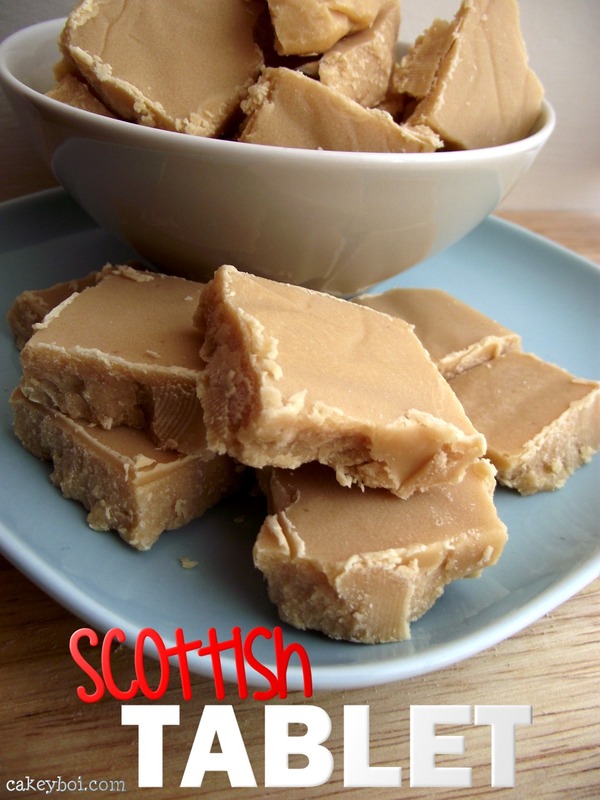 There you have Scottish Tablet. It’s a sweet and comforting treat, which is a nice alternative to toffee or fudge. And goes great with a cup of coffee. To be honest, I have found tablet making a very perplexing process, and have luckily hit on a recipe (with my own tweaks) which works for me. I hope it works for you too! Oh look at that perfect wrinkle on the top of your tray of tablet! Properly made tablet just dissoves in your mouth (and rots your teeth - but who cares) I've never managed to make it either but the recipes I've seen also use condensed milk so I think you are on safe ground. Well done you! Looks and sounds a lot like my grandmother's Penuche recipe although that uses a bit of corn syrup and butter rather than the sweetened condensed milk. Hurrah!! I had a similar relationship with fudge until recently and its a great feeling when practice makes perfect :) and thanks for the recipe I will certainly have to give this ago. Fudge is another problem area for me Angela, going to give that another go too soon! but what's the difference between tablet an fudge? Difficult one to try and explain Eileen - but it's all about texture I think, mostly. 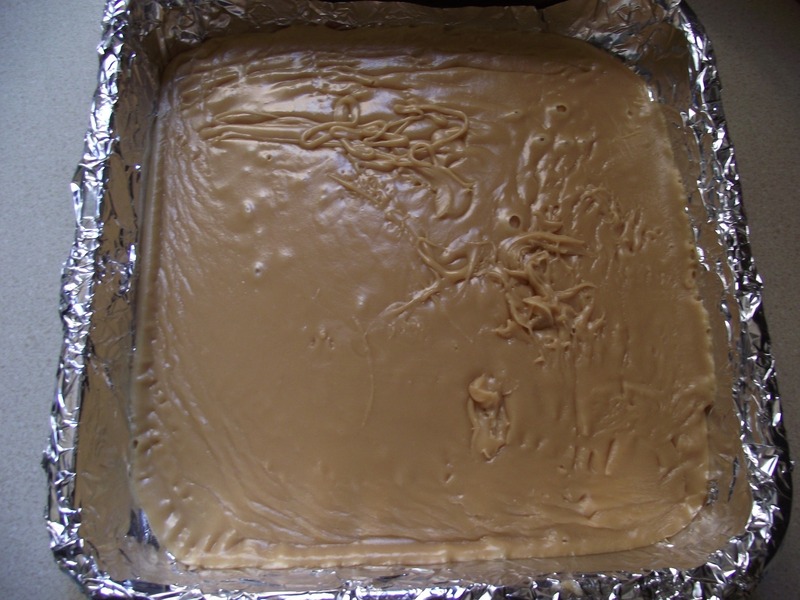 Fudge is soft whereas tablet is more solid and crumbly (but not hard). The taste is different too, but tablet cannot be beaten! We had never even had tablet before until a few years ago when my hubby's aunt (who's Scottish), made some from her mother's recipe. SO IN LOVE. Hubby doesn't have a sweet tooth at all (he actually doesn't really like sugary things) but he can't get enough of this stuff. I can't wait to try your recipe and see how it compares! Excellent result. I love tablet but I haven't eaten any for years. I used to know someone who regularly made batches using her mother's recipe but would never tell me how to make it. Having read your description, I think she might have kept it to herself on health and safety grounds. I hope it works well for you Polly! Hi - I'm so sorry you had this problem. Tablet making is so temperamental and can vary each time you make it. I would suggest using the thickest based pan you have and using a lower temperature - low and slow is the way to go plus lots of patience. You may need to adjust my timings. Let me know how it goes next time. Ah I will! Thanks.. I guess I was a bit too impatient the last time. Glad it worked for Karen - it can be such a temperamental thing tablet! I made this for my mom and her Scottish sisters and it disappeared in about 4 minutes! Going to make more for a party tomorrow and for Christmas! Thank you I followed your instructions step by step!! After leaving it to cool, it doesn't have the texture of tablet, more like fudge. Tastes great, but not hard enough. Should I cook it longer, maybe darker.? Hi, sorry to hear it didn't work for you. It can be temperamental, but persevere. As you can see from some of the comments above, it can work. I would try beating it for a good long while after making it, lots of elbow grease to incorporate air into the mix. Eventually drops on the side of the pan begin to set and crystallise and that's when you know it's ready. Let me know if this works for you. Can you use an electric whisk instead? Can't wait to try! You could, but please be very careful! If it splatters you will sore! Here in Germany I cannot get sweetened condensed milk, any alternative? About 5 minutes into beating it started expanding and setting! It's set very very crumbly....am I boiling it for too long maybe? Hi Alison - it possibly could be. Tablet is so temperamental and it could be down to how heavy your pot is, perhaps it doesn't need as long. Try reducing the boiling time and watch as it turns more amber in colour that is always a good indicator of how quickly it is getting there. You can stir it during the boiling stage. It will help to stop it burning. The important part is the final temperature it reaches which should be 240F (or the soft-ball stage as it's known in sweet making). Use a candy thermometer. Take it off the heat at this point and start to beat it for 5 mins. Also you don't need to use a whisk to beat it - too flimsy for the thick mixture. Use a wooden spoon. Hi - Just plain white granulated sugar.